[ò] | phoogler | Fish Bowl in candle light. 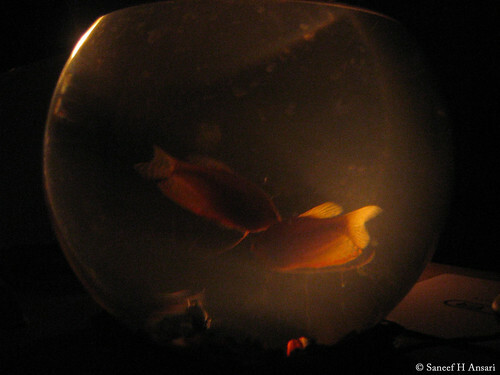 Fish Bowl in candle light. This picture is take in candle light yesterday, due to the blackout here at bangalore.